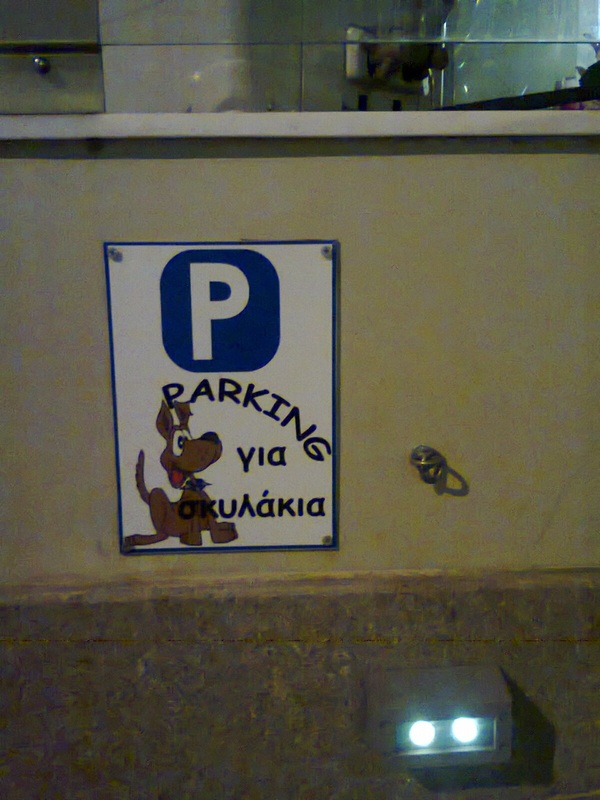 I actually think Heraklion is a fairly dog-friendly city. There are quite a few small parks and places for quick walks, as well as the city walls, a small patch of beach that nobody goes to, the Venetian harbour, dog friendly cafes in the middle of the city parks etc etc. 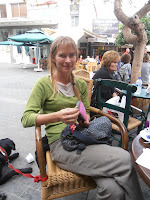 And look what I found last time I was in Heraklion................. !!!!!! 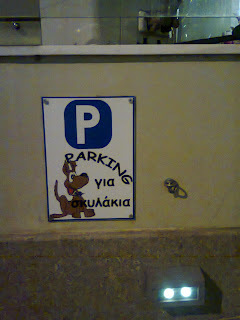 I've never seen Dog Parking before. I'm sure it exists in other countries, but I thought this was quite 'progressive' for Crete. I don't know how many times I've tried to tie Sage outside a shop, to pop in quickly to buy something, and not found anywhere safe to leave her. 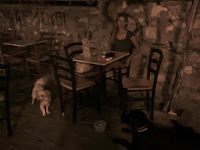 So, leaving tavernas and restaurants for a later post, I just thought I'd mention one or two drinking places in Heraklion that have welcomed my friends and I with our beasts. This is a very relaxed, low-key street cafe, which sells beer, wine, raki and a basic range of meze dishes. They have always been friendly and allowed us to sit outside, even with 2 dogs. It's usually warm enough to sit outside, even through most of the winter. I've sat outside here with Sage a few times. They have outdoor heaters, so unless it is raining you can enjoy a coffee (or amazing hot chocolate, with loads of biscuits) on the comfortable sofas outside, with your dog. I've been there with Sage and a quite hefty bull dog, and the staff were still fine with us being there. loads of times, most recently with Sage and my parents, and sat outside for coffee and bougatsa. They've always been very welcoming. I haven't been back here since it was renovated in 2012, so I'm not sure they still welcome dogs inside. This place stays open very late, plays loud old school rock music, and attracts quite a young crowd. It's always quite nice to sit under the huge tree in the courtyard and drink a few beers. In the winter, mid week, you could take your dog inside - they had a small fireplace and it could be quite cosy. At the weekend, this would be very overwhelming, noisy and smokey for a dog (and for some of their owners! ), so best avoided. The staff have always been very friendly to Sage, and I've seen other dogs inside. 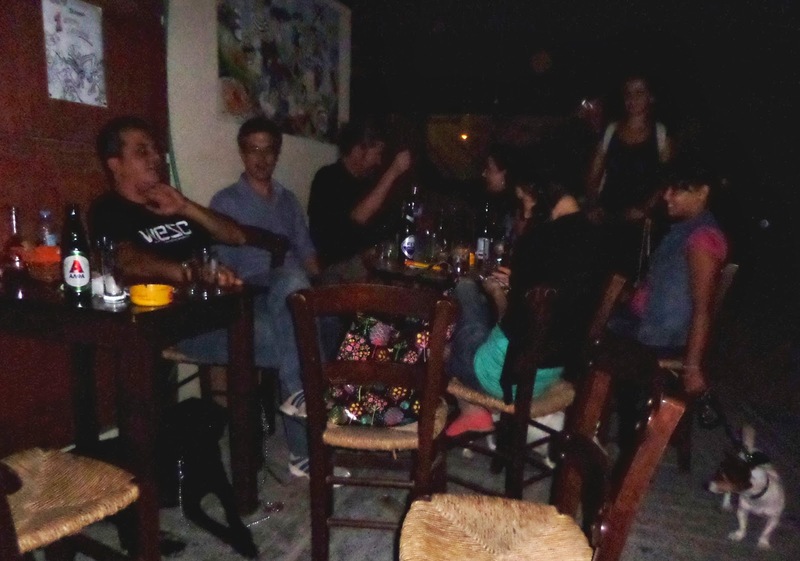 This small raki bar (rakadiko) is hidden away down a side street and can be hard to find. They serve cheap, but good raki, and various mezedes, including quite a few Turkish and Middle Eastern dishes (lahmajun, tabouli salad etc.) We sat outside, with our 3 dogs (Sage and a couple of her friends), and nobody complained. There are often one or two small dogs running around this small pedestrian street. This small bar mainly sells raki (as well as beer and wine) and mezedes. It's on a lively street, great for people watching, with very reasonable prices. They had no problem with us sitting outside with Sage and Betty. We ended up drinking a lot more than we'd planned, and eating a small plate of mezedes, and only paid about €10. This is a really great bar with some of the most interesting decor (the owner buys and sells antiques), as well as music, that I have found in Heraklion. I must note here that we once tried to sit inside with a dog, during the winter, and were turned away. 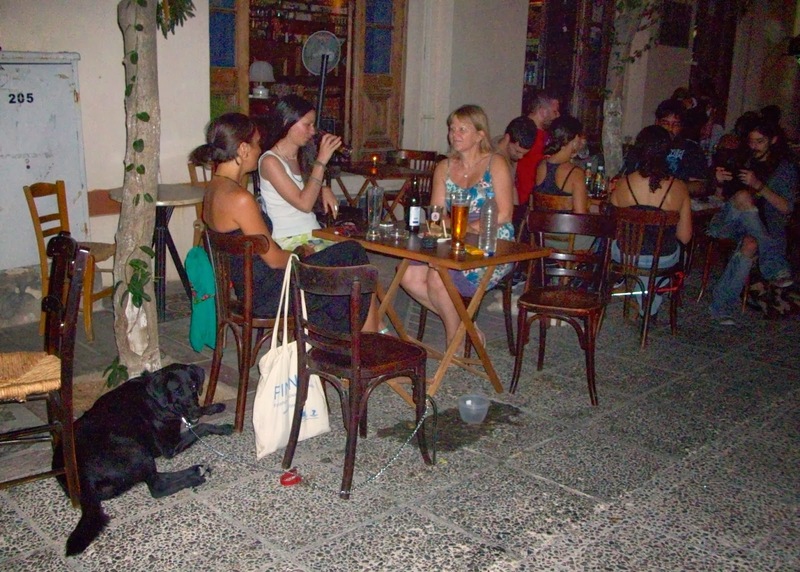 However, they don't have any problem with you sitting at the tables outside with your 4-legged friends. They serve the typical menu and the food is good, although we've mostly come here for drinks. This is really just a small selection. Heraklion is bursting with bars and cafes; you can always find somewhere to sit outside with your dog, to enjoy a beer or a coffee and watch the world go by. Sitting inside with your dog is a little bit more difficult. 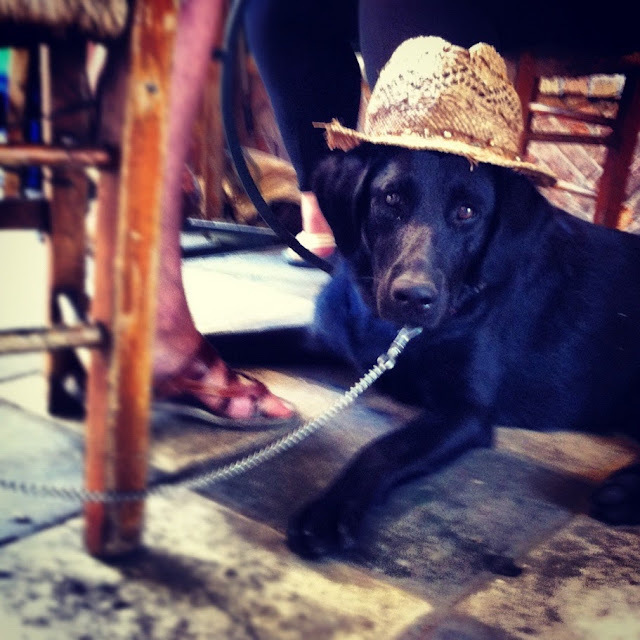 I have found that tavernas have been more dog-friendly than bars in this respect - so I'll post dog-friendly tavernas/restaurants asap.